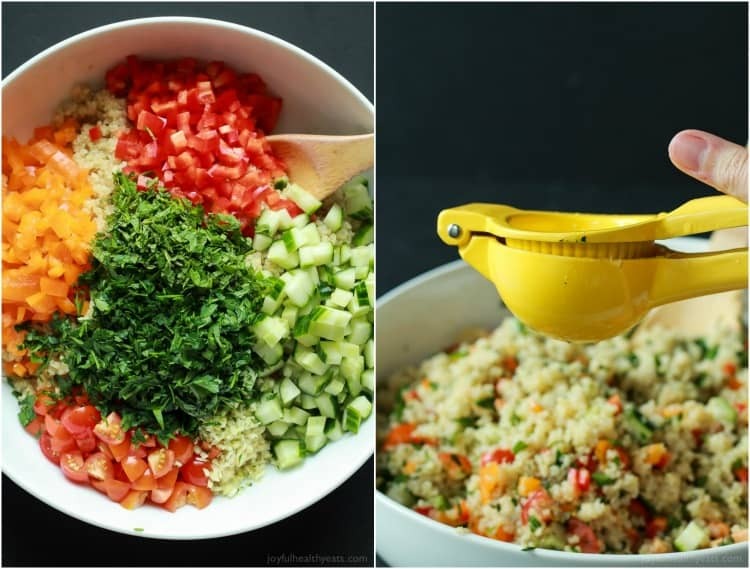 Quinoa Tabbouleh Salad an easy salad recipe that is done in 20 minutes; filled with fresh herbs, fresh vegetables, and lemon juice. Light and low calorie, perfect for the summer! So, the other day I was randomly scrolling through facebook, because thats what I do when I want to do something mindless, and saw this hilarious meme that literally made me start laughing out loud. Because it’s the story of my life that’s why! Here’s what I saw! Can I get an amen! 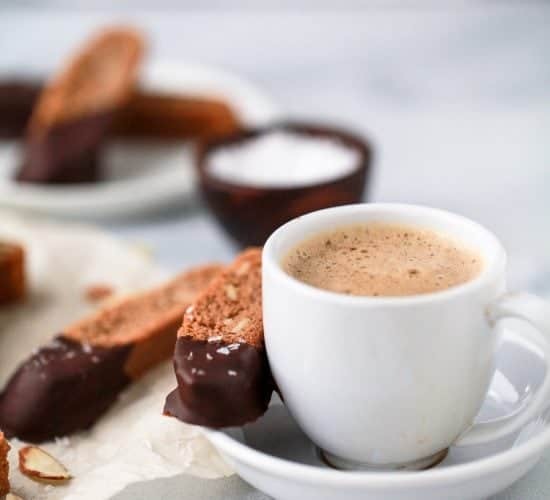 Chocolate is my biggest weakness! I could have eaten awesome all day but when I sit down at night all I start craving chocolate chips. Ahhhem… did you happen to see my post from Wednesday! Mocha Chocolate Chip Avocado Brownies… case and point. Me and chocolate have a love hate relationship. 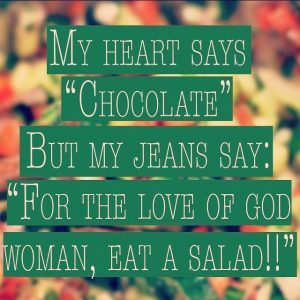 So today I am taking this meme to heart and “eating a salad!” A Quinoa Tabbouleh Salad to be exact! Tabbouleh is a Levantine vegetarian dish that is served in the Middle East, it is typically made with just fresh tomatoes, mint, parsley, lemon juice, and olive oil. Now the recipes vary a bit since it’s gotten popular in the States. 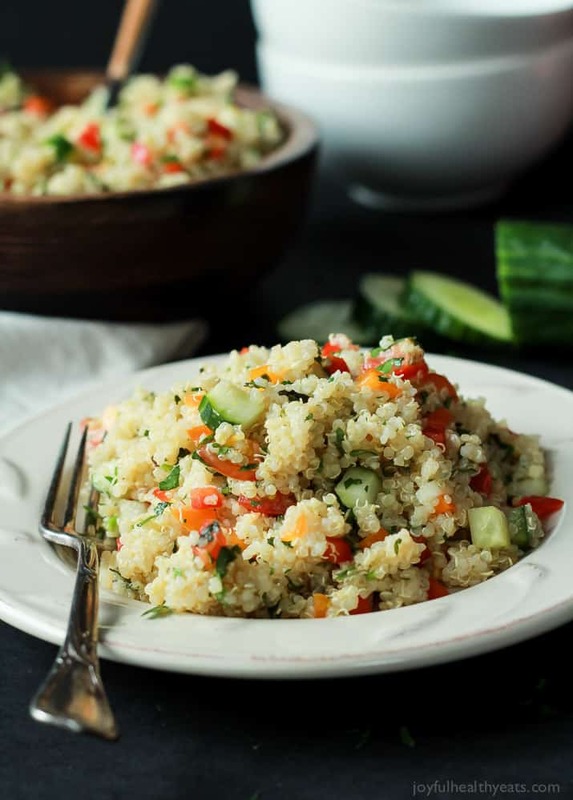 This salad is filled with quinoa, fresh vegetables, fresh herbs, lemon juice, and olive oil. Thats it! Crazy healthy, easy to make, and tastes like a dream. If you have mad memory skills you might remember that I warned you this dish was coming in the Spice Rub Grilled Chicken Recipe a couple weeks ago. 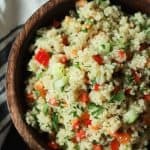 This Quinoa Tabbouleh Salad goes great with that chicken but also goes great with the Grilled Flank Steak and Avocado Chimichurri! Basically it is the bomb with any protein you can serve up and you need this in your life. Is that enough reason to make it? I think it is! 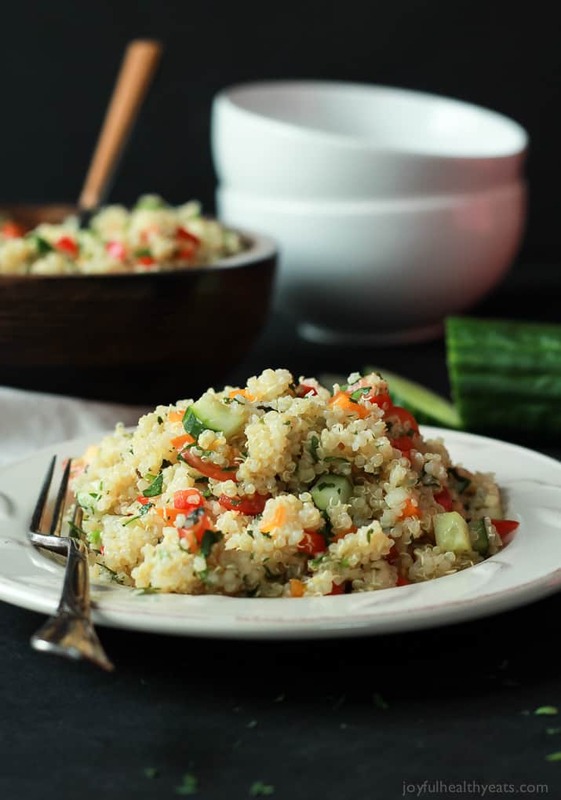 This Tabbouleh is a necessity to have on hand and still tastes great the next day. If it dries out a bit just add a little more lemon juice and olive oil to it and it comes back to life instantly! Seriously cannot wait to hear what you think of this dish! P.S. you don’t have to be a master knife cutter to make this dish, I know all the vegetables look really small in the photos but the goal is to try and make the vegetables all the same size. Remember you eat with your eyes first then your stomach! P.S.S. Go make this now! Add quinoa and water to a medium saucepan, cover, and bring to a boil and reduce to simmer for 15 minutes until water is gone. Let sit for 5 minutes, use a fork to fluff. 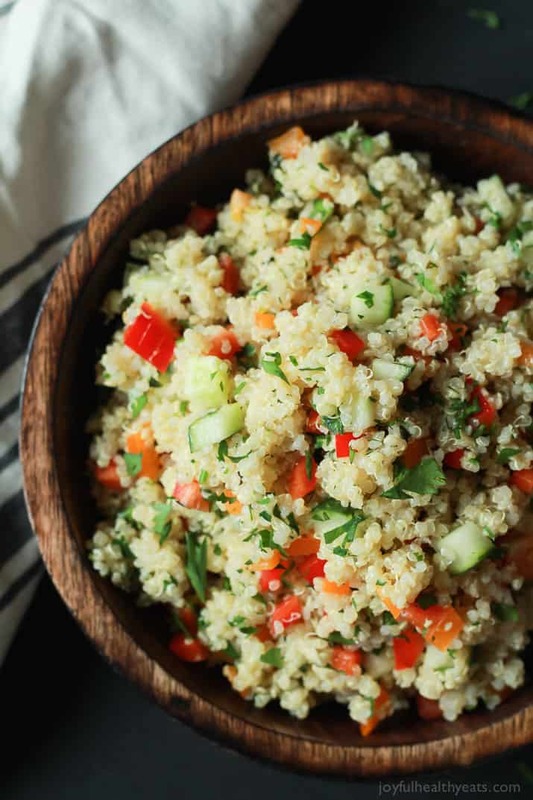 Add quinoa to a large bowl along with tomato, cucumber, red pepper, orange pepper, parsley, mint, garlic, lemon juice, olive oil, salt, and pepper. Toss to mix everything together. I love, love, LOVE Tabbouleh! It was first introduced to me by my Lebonese college roommate. So fresh and delicious! And I too have the same weakness with chocolate. I pretty much eat some form of chocolate everyday! So soo good right! And if you first intro was by a Lebanese roommate then you were in good hands! Krista, chocolate is my biggest weakness, too! 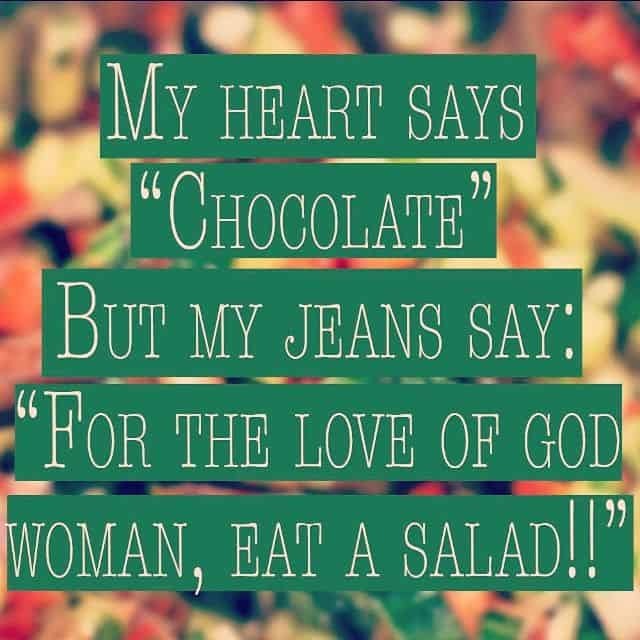 I eat quite well but always have room for chocolate. 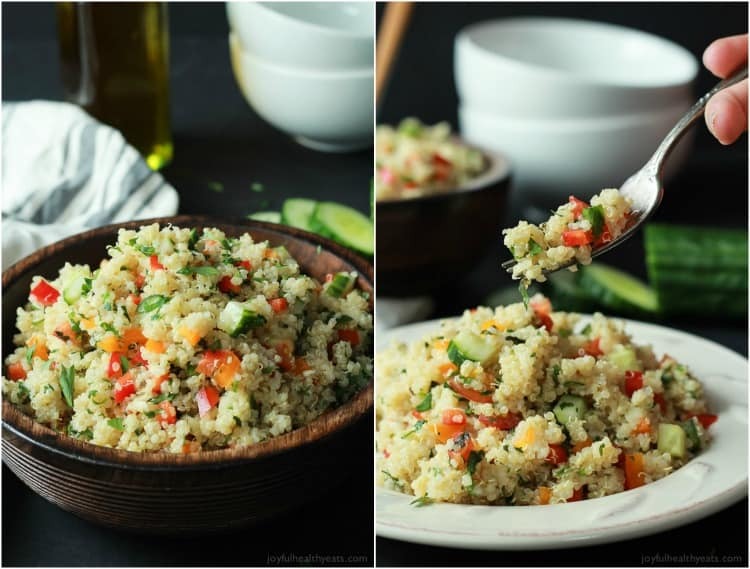 Thankfully, I LOVE salads and this quinoa tabbouleh salad is perfect for me! Hahaha, that meme made me laugh out loud – story of my life for sure! And this salad looks just fantastic! hurray! glad i could give you a good laugh and a good recipe! woot woot! Bah haha love that quote! That should be my new go to phrase! If I’m going to eat a salad this looks like the perfect one to enjoy! haha… so glad you liked it! I literally laughed out loud when I saw it! This is definitely the perfect salad to eat for the summer! Light and refreshing! I love that meme, too, and it is all too true for me. I love this salad too! Gorgeous! This looks like total perfection! Can’t wait to give this a try! Thanks Becky, you’ll love it! This looks like the perfect summer salad, Krista – can’t wait to give it a try! We live right by a little greek place that serves up the best tabbouleh salad. I am obsessed with it. 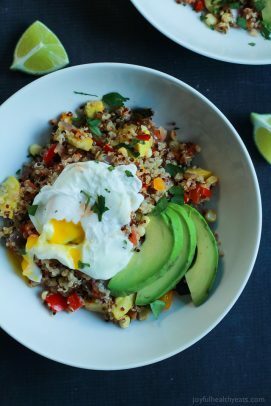 Never did I think about using Quinoa instead of Bulgur Wheat! You are a genius Krista! Pinning! Can’t wait to make this at home! lucky girl! I wish i lived next to a greek place!!! 🙂 Thanks for the pin girl, hope you girl it a try! Wow Krista! 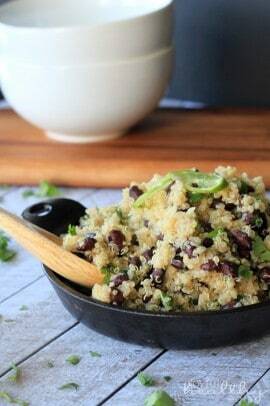 I love how fresh this salad is and use of quinoa instead of tabbouleh. And chocolate would be Superman’s weakness too! haha.. right! Chocolate totally would be superman’s weakness! So glad you liked this recipe girl! I just made this dish, and had to leave a comment. It was AMAZING!. Very, very good!!. 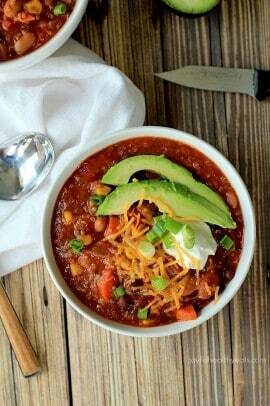 I can’t wait to try more of your recipes, especially the Vegan Mexican dishes!!. Ohhh hurray! So glad to hear it Lori! It’s one of my favorites in the summer, so light and refreshing! What do I do with the garlic? 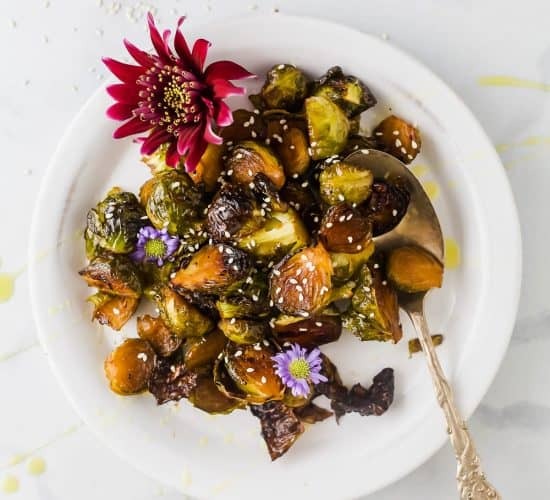 add into the dressing? Excellent dish!!!!! Whole family loved it. Paired it with the spice rub chicken!